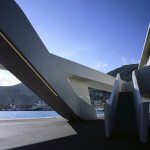 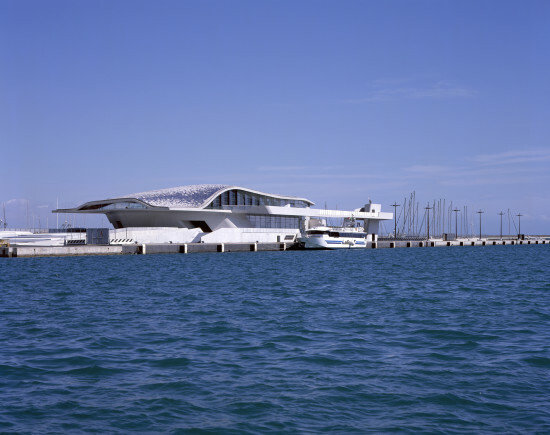 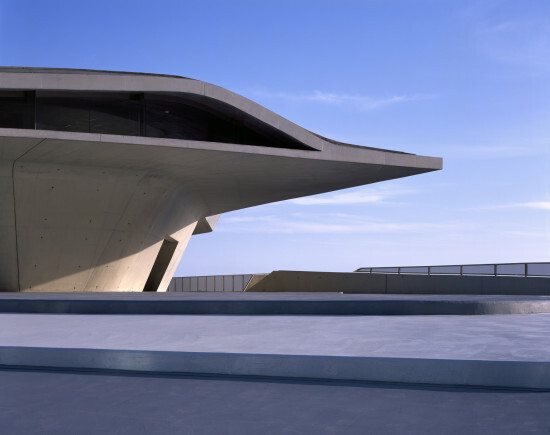 The Salerno Maritime Terminal in south west Italy has been inaugurated by the Italian prime minister Matteo Renzi. 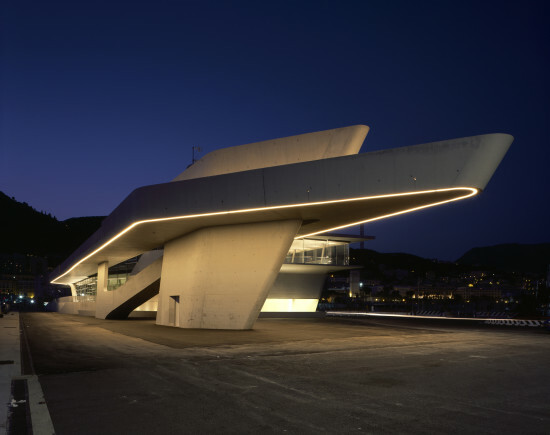 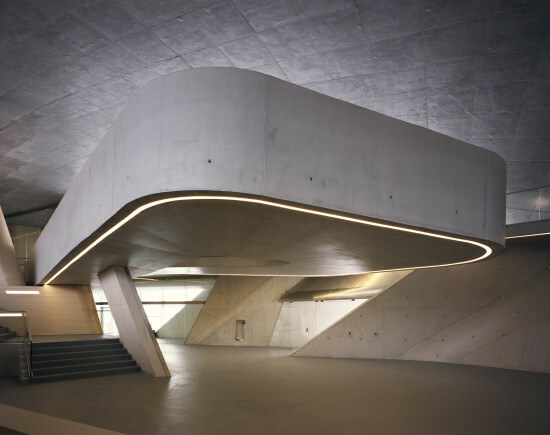 The building, which has been in the making for 16 years, is the first to be opened since Zaha Hadid’s passing at the end of March earlier this year. 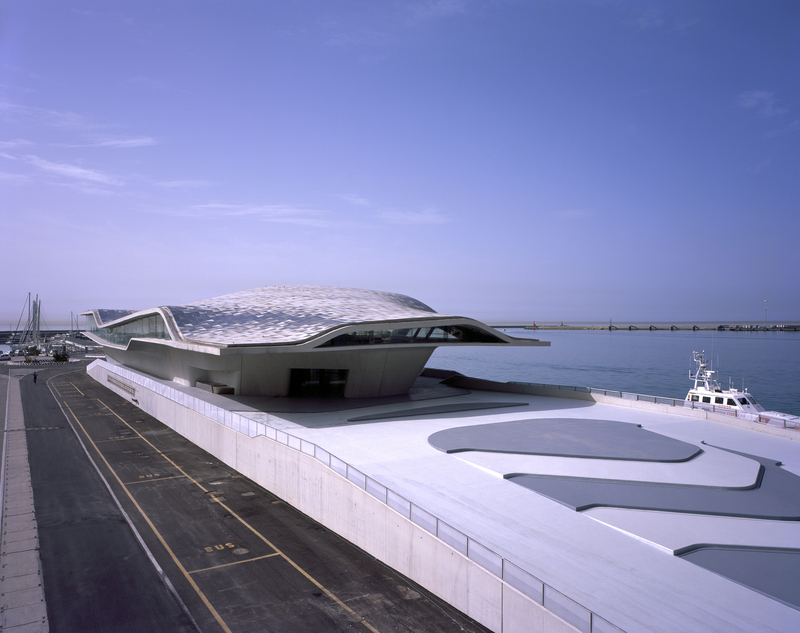 Bearing the resemblance of an oyster, an asymmetric shell forms the roof and offers a much needed shaded area during the summer months. 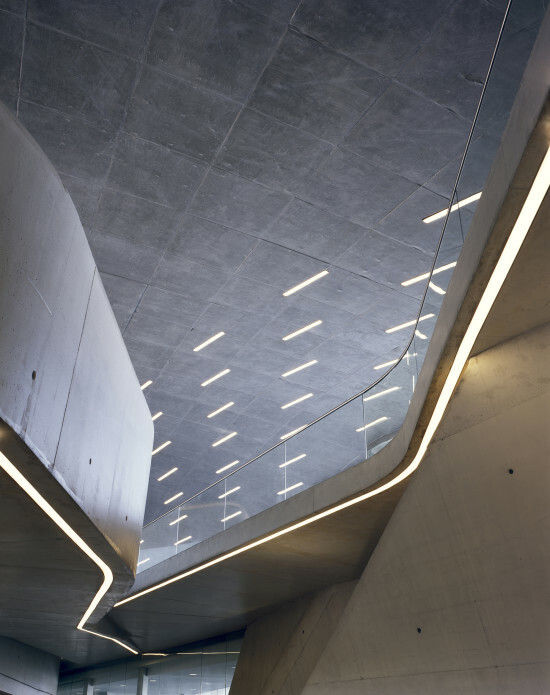 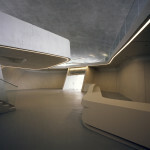 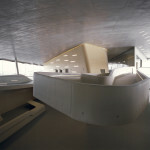 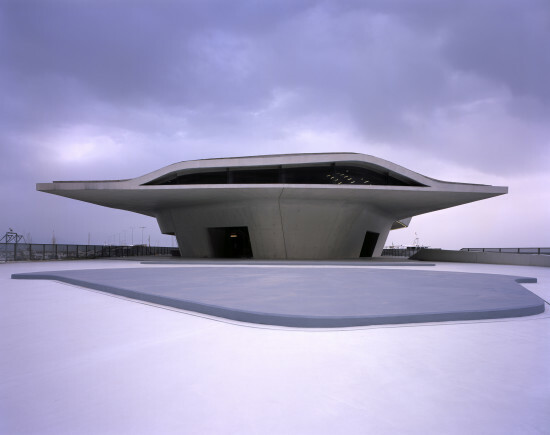 Come nightfall, the terminal is illuminated via an accent-lit concrete soffit running around the building’s perimeter.